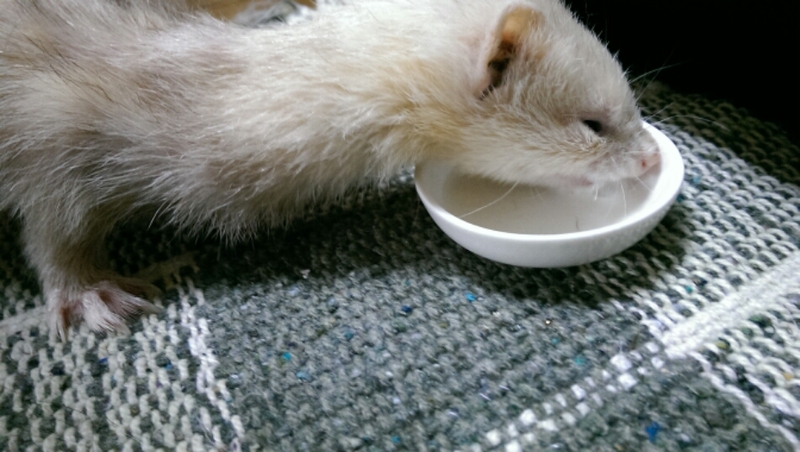 This is a weasel. She makes my heart happy. I love her. I tell her this frequently, but she doesn’t care. She’s too busy stashing tubes and murdering jingle toys. At nine years old, she’s quite the old lady, but I’m pretty sure she doesn’t notice. She only seems bothered by my inadequacy as a human to better predict her desires. I don’t know how much longer I’ll have her. Every day that she wakes and makes demands of me is a treasure. 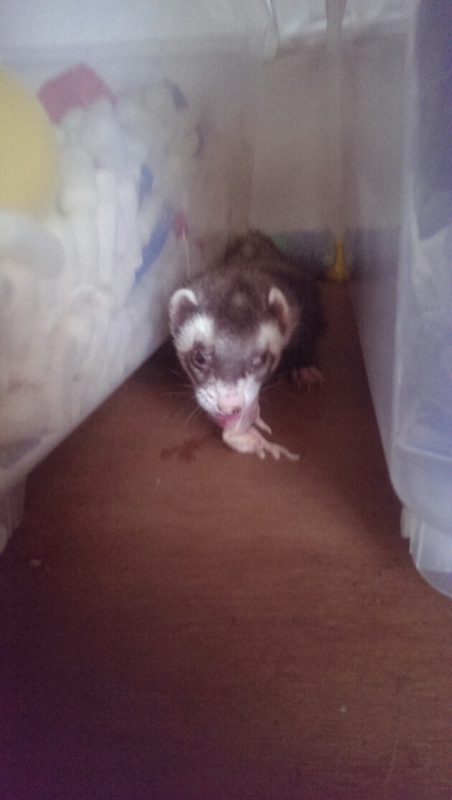 Bird faces and mouse butts are just two of the things you might find in your underwear drawer if you are a Keeper of Weasels on a raw, whole prey diet. In other news, cutting up Wilson’s morning quail turned out an interesting surprise. How many of you have ever cut open a bird to find an egg inside? Weeiiirrd. Every morning I make soup for my weasels. 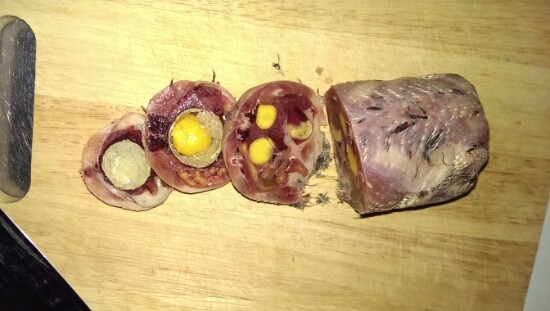 Whole quail and mice go into a blender, sometimes with a chicken thigh or some skin, and out comes a fluffy pink goop that they just love. A little warm water to thin it, and I have something akin to weasel crack. 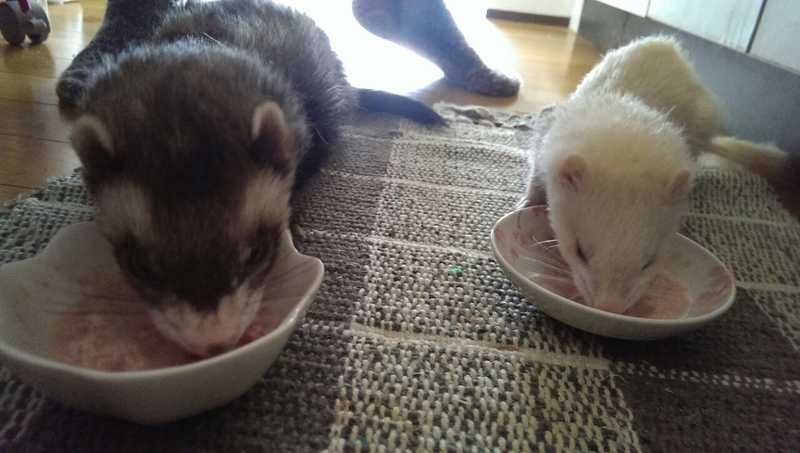 “Simulsouping” is when you get both weasels lined up in a row slurping their soup in happy unison. This is morning simulsoups. Sometimes it’s hard to find your happy. But morning medicine on the veranda is pretty happy!